Hello to locally grown goodness! Pathway Culinarians are serving up heaping helpings of fresh, in season, locally grown food. What’s even more exciting is that residents have a hand (literally!) in picking the fruits and vegetables that show up on their plates. 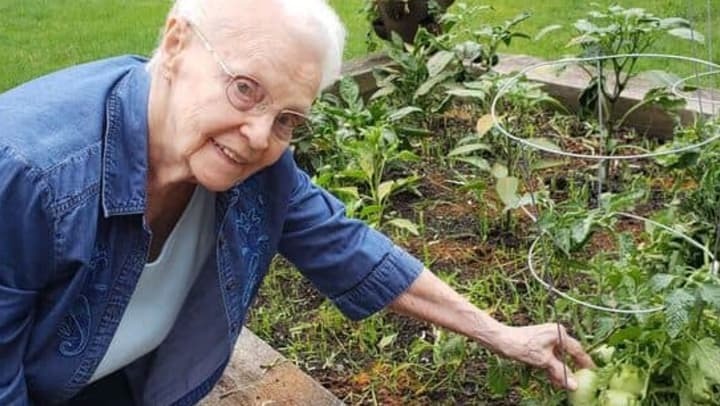 From micro greens from Strawn, IL to sweet corn from Burlington, IL to cucumbers from Sodus, MI, residents are enjoying locally grown foods at the peak of freshness. Many are rolling up their sleeves to handpick the best on the vine from local farms as well as from their community’s very own Victory Gardens. “Eating locally grown, seasonal food is better for you, the environment and your taste buds,” says Pathway’s Director of Culinary Experience Eli Ayoub, the man behind the push for farm-to-table dining at all of Pathway to Living’s communities. Support local economy – The money for the food goes directly to the grower and not to some large, distant corporation. Full of flavor – Local foods are picked at the peak of ripeness as opposed to being harvested early and ripened on a truck. You can taste the difference between lettuce picked yesterday versus last week, washed in a factory, wrapped in plastic and then hauled across thousands of miles. Eating seasonally – By picking and buying local foods, you are enjoying them when they are naturally grown and at their best. Everyone knows that a tomato picked in season bursts with flavor compared to those that are ripened artificially and have little to no taste. More nutritious – The shorter the time from harvest to the plate means less nutrients are lost. Environmentally friendly – There’s a couple of reasons eating local produce is “greener.” First, the less travel for food to get to the table reduces fuel consumption and creates less greenhouse gas emissions. Also, buying locally supports the preservation of open, green space in the community. Community connection – Eating local produce creates a more vibrant community by connecting people with the local food producers. Diners can put a face with their ear of corn! To learn more about the farm-to-table dining experience and other ways Pathway to Living is putting a fresh spin on senior living, visit pathwaytoliving.com or call 888-342-4111.